Efficient name in the industry involved in offering the optimum quality of Solvent Soluble Dyes. 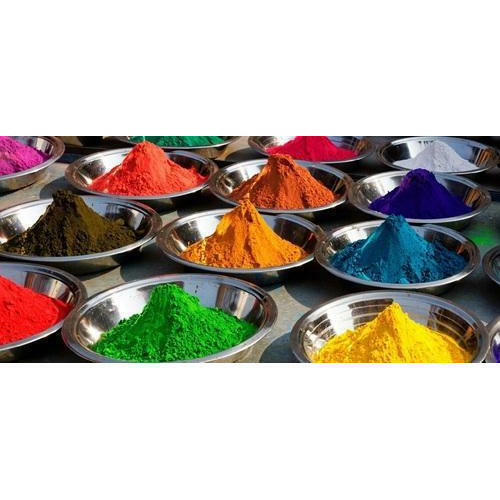 Solvent dyes are solvent soluble organic metal complex dyes of high quality for use in the inks and coating industries. These products offer superior solubility in organic solvent systems. Established in the year 2005 at Mumbai, Maharashtra, we “Spectrum Impex” is a Partnership based firm, engaged as the foremost Manufacturer, Trader and Exporter of PBT Polymer Resin, Dyestuff Dyes, Pearlescent Pigment and much more. Our products are high in demand due to their premium quality and affordable prices. Furthermore, we ensure to timely deliver these products to our clients, through this we have gained a huge clients base in the market. We Import from China, Germany, Korea.